Thissale is for a 5 x 7 Concert Photo. Elvis is in the picture with Shawn Nielson. This photo is autographed by Shawn Nielson. This concert photo is in excellent condition and is perfect for framing. 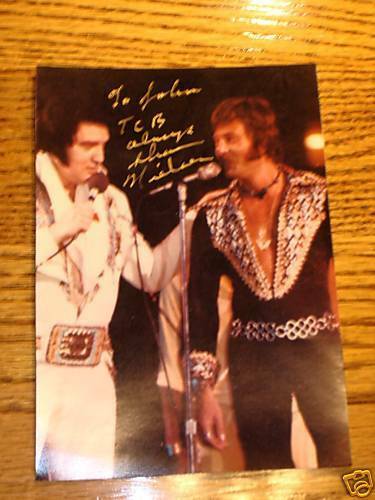 If you are an Elvis fan, this is a great photo to add to your collection. This photo comes from my own personal collection and smoke-free environment. International Buyers Welcome - Email Me For Shipping Charges! PLEASE SEE THE MANY OTHER GREAT ITEMS I HAVE IN MY STORE!